The American Wild Horse Campaign was started in 2004, in an effort to raise awareness and provide a unified voice to advocate for America’s wild horses and burros. Since then, the AWHC has been an integral part in changing legislation on a federal and state level, and campaigning for the preservation of these horses in the wild. 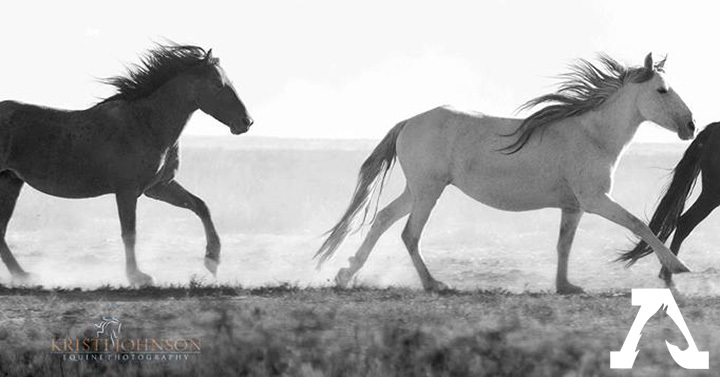 Help them protect wild horses with your monthly coffee purchase. 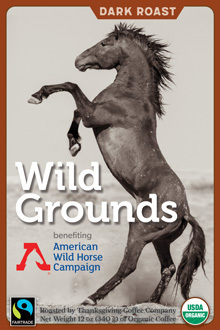 For every bag of Very Dark Roast Wild Grounds Coffee sold, we donate 10% directly back to America’s horses in the wild. You have come to America’s finest French Roast: the Noyo Harbor French Roast. 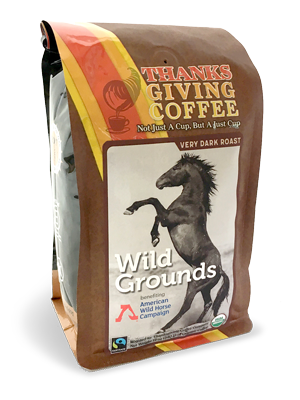 This coffee is carefully crafted to have the flavors of burnt sugars (think charred marshmallows) with a hint of smoke, like BBQ. We avoid the charcoal flavors, opting for toasted marshmallows and the burnt sugars of a Crème Brule. This is the coffee that erases food flavors and is a counterpoint to sweet desserts. A taste of apple pie after a sip of French roast makes every taste a “first bite explosion”. Try it, you’ll see. With chocolate cake, a great marriage. If you want a thrill, take a sip after a bite of lemon tart or lemon pie. The French roast explodes with the flavor of lemon. This is our signature Fairtrade and Organic French Roast, featuring coffees from Central America, South America and Indonesia, each adding something to help out. If you are a Very Dark Roast lover, you will appreciate the clean flavors and clear coffee notes we guarded so carefully to preserve. From Mike Soldano of Ridgefield Park, New Jersey on 6/30/2017 .